A mother is taking the ultimate measures with ground-breaking but potentially risky surgery in a bid to cure the multiple sclerosis she suffers – and a Dublin community have raised €70,000 to help her. Deirdre McGarry, a mother-of-two and teacher, is the incredible woman at the centre of Team Dee – a charity campaign in Raheny, Dublin – which is just €5,000 short of raising the cash needed. When an illness takes away your ability to parent your children it truly steals something precious – and like any mum, Deirdre wants to look after her children and not the other way round. “I don’t want my girls taking care of me,” she said. “I’ve been in touch with several patients who have been to Russia for this treatment. While many people report vast improvements in their condition, according to data, there is a risk factor and recent research has showed one patient, from a sample group, died as a consequence of the procedure. The procedure is unique in that it can, according to Dr Dennis Federenko, who works in a Haematology and Cell Therapy Centre in Moscow, do more than simply halt progression of the disease. Patients reportedly often go up to ten years without a relapse. And not wanting to give in to the illness, Deirdre found the treatment after extensive research. 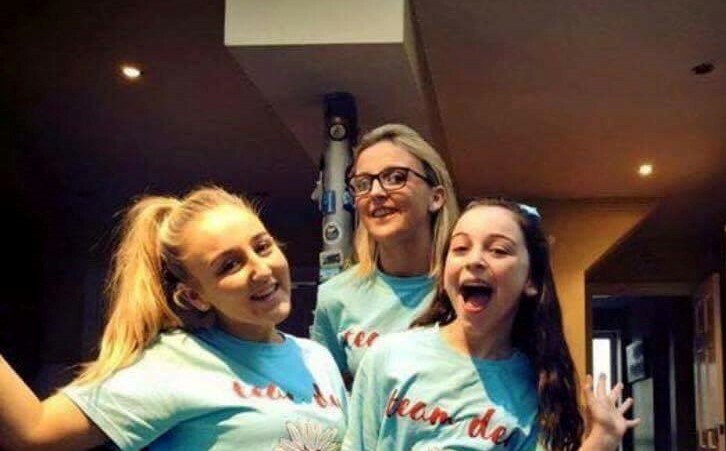 The cost of the treatment is colossal and sparked the birth of an amazing group of local people in Raheny, Deirdre’s friends, neighbours and work colleagues, Team Dee. The group have been working tirelessly since the beginning of the year to raise funds. And in a mammoth effort they have raised a staggering €70,000 with coffee mornings, marathons, raffles, music nights and more. Deirdre been overwhelmed by the amazing support she has received. She hopes it will now take her one step closer to good health and a happy future. She had been ill for some time before being diagnosed with multiple sclerosis in February 2013. MS is a chronic illness with no known cure. Symptoms of the disease typically include loss of or changes in sensitivity, such as pins and needles or numbness, vision problems and chronic pain. Deirdre describes how a particularly bad relapse left her very debilitated. For six months, she was unable to work and depended on other people to do everyday tasks that we all take for granted. 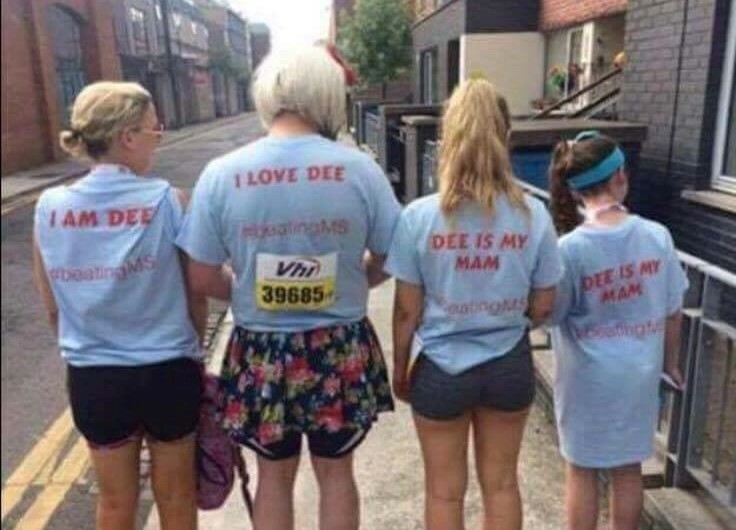 MS is a degenerative disease and Deirdre worries about the impact it will have on her future and especially her daughters. This weekend will mark the highlight of their fundraising year with a glamorous ball in Clontarf Castle. The team negotiated and meticulously managed the event, allowing them to keep the cost of tickets affordable while at the same time raising money for the cause. It’s 20 years since Deirdre graduated from Manor House secondary school in Raheny, the same school where she now works in as a business-studies teacher. The school has been at the center of Team Dee, as fellow teachers and former pupils have pulled together to help one of their own. The fundraising ball this Friday will double as a school reunion, as Deirdre’s class of 1996 will come together to celebrate two decades since graduation. Deirdre said the theme song of their graduation was Take That’s Never Forget. She feels the sentiment is symbolic in that she won’t forget those who’ve stood by her side. Dr Federenko has been carrying out HSCT since 2005. Although HSCT is a remarkable treatment that can improve lives, it remains a dangerous procedure with many possible complications. Earlier this year Deirdre took the brave decision to apply to be treated by Dr Federenko in Russia. Deirdre was accepted as a suitable candidate for HSCT with Dr Federenko and is currently on a waiting list to receive treatment in 2017.